As the project came to an end, you required some “All-Star Assistance”. Would you say that one of the main reasons why this was necessary was because this was a WarioWare game in one sense, while at the same time, it wasn’t? That made it impossible for a single director to ensure that each individual game was fully realised and complete. There were of course games that we had completely finished, but as we reached the end of the project, time pressure made it impossible to stay on top of everything. Which of the 16 games did you ask for assistance with? ISLANDS .12. Kazuhiro Yoshikawa works in Nintendo’s Software Planning & Development department, and has overseen work on titles including Kirby’s Adventure Wii.13. 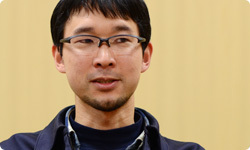 Nobuo Matsumiya works in Nintendo’s Software Planning & Development department, and has overseen work on titles including Jam with the Band and Kirby’s Epic Yarn. He featured in the Iwata Asks discussion of Kirby’s Epic Yarn.14. Kensuke Tanabe works in Nintendo’s Software Planning & Development department, and has worked on the Paper Mario series, Donkey Kong Country Returns, and the Metroid Prime series. He has featured in an Iwata Asks discussion of Donkey Kong Country Returns.15. Risa Tabata works in Nintendo’s Software Planning & Development department, and has worked on the Metroid Prime series and Donkey Kong Country Returns. She featured in the Iwata Asks discussion of Donkey Kong Country Returns. Did you not find that having lots of new people coming along and offering their opinions ended up confusing things for the dev team? My position was that once I’d asked someone to work on a task, I would basically leave them to it. I felt that if I weighed in with my opinions, it would just complicate things. ‘SKI’ and ‘ISLANDS‘ in particular would benefit from some polishing of the 3D graphics. I asked Kobayashi-san and his colleagues to supervise work on those two titles, and a 3D design team was formed in the Software Planning and Development department. That’s right. They were fully committed to this task for a period of about six weeks. We only had about a month left before the deadline, and Tanabe-san had joined to help us out with ‘ISLANDS’. At that point, he suggested that the island should have a kind of resort feel, and that the graphics should feature beautiful natural scenes. At that point, Kobayashi-san and his team responded by saying that with only a month left, making changes on this scale just wasn’t realistic. How did you feel about this battle, Mori-san? (laughs) So even though they had just joined to offer you assistance, your helpers were fully involved and taking it very seriously. Just hearing that, people might get the wrong idea about Tanabe-san’s personality. In fact, when he gets involved in the development of a project, he becomes very passionate indeed. (laughs) When I worked for HAL Laboratory, Inc.16, Tanabe-san was our supervisor at Nintendo and listening to this, I’m really reminded of those times.16. HAL Laboratory, Inc.: A software developer that has worked on the Kirby and Smash Bros. series, among others. Nintendo president and CEO Satoru Iwata served as HAL Laboratory president. 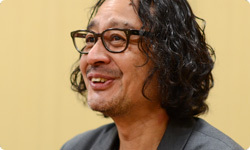 Tanabe-san was arguing that by having an epic natural setting for the game, and playing in an environment on that scale, it would be more enjoyable for the player. He wanted to make use of 3D graphics to realise this vision. Fortunately, the team we assembled to work on the graphics were very talented, and in the end we managed to create a high-quality finished product which was indeed set on a grand scale. It did turn out to be a really rich environment. We ended up with a setting that was so impressive, it seemed almost a waste to just use it for this one game. Then after they worked on it, it became something totally different. That’s when I really realised what HD graphics could do. So in the end, I suppose that after experiencing HD graphics for the first time, the WarioWare team had to doff its collective hats to the graphic artists who’d provided such able assistance at the end. Yes, I’ll admit it… I was wrong. But I do think that using such lush graphics in this manner fits in with that special character of WarioWare games, that thing that makes them unique. You mean in the sense that there’s a really lush environment, but that it’s totally unbalanced? Yes, that’s right. After all, the characters you’re launching through this landscape are just tiny little creatures. We actually got three designers to stay with the team and work on the bonus ‘CHICK-N-WIN’ content. They were free to come up with all sorts of ideas. We even had people who had worked on Devilish Brain Training17 joining us to help out.17. Dr Kawashima’s Devilish Brain Training: Can You Stay Focused? is the latest in the Brain Training series and was released in Japan in July 2012. It is based on the research of Professor Ryuta Kawashima from the Tohoku University Future Technology Research Centre. Mori-san, with so many people involved in the development process, did you not get the feeling that people were intruding on your terrain, and treading on your toes? No, it was actually a real breath of fresh air. It was actually great fun to have all this input from people who were new to the project, and it really served to motivate us and spur us on. 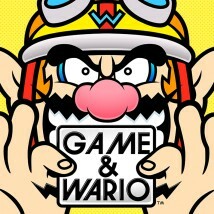 That’s another great thing about having WarioWare as a container, or framework for the game. It means you don’t have to waste energy making all these diverse elements fit neatly together. Yes, absolutely. I think this was particularly true with the ‘CHICK-N-WIN’ content, because it is all bonus material, so we could come up with a whole load of different ideas. To be honest, I was really taken aback by the way the designers who were helping us out came up with all of these ideas for the bonus content. They had a very clear idea of what they wanted to do, and how to achieve it. I think they had a real understanding of what WarioWare was all about, and I think that they were all really attuned to what was right for the game. So for this project they were able to come up with images that they had never have been able to use in previous projects. Yes, that’s right. You’d end up discovering that people had all kinds of talents you never suspected. Everyone was able to unleash their full potential, weren’t they? The team was really able to cut loose and do what it wanted. Yes, it was. It was a huge help to have them all on board.